THE MARTINI CHRONICLES: Why This 8-year Old Girl Loves Being A Female! 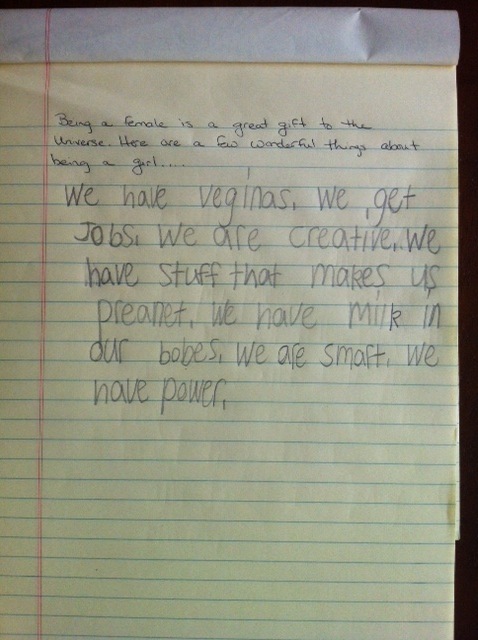 Why This 8-year Old Girl Loves Being A Female! I LOVE this! This young lady's father posted this picture on Reddit. 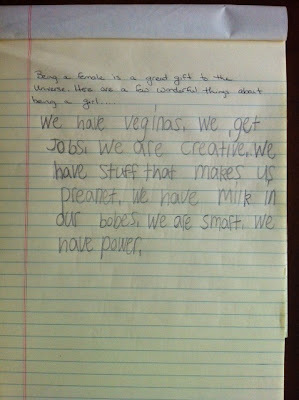 It is his 8-year old daughter's list of things she believes make it so wonderful to be a girl. I thought it was super cute...and super accurate! I love that she recognizes (probably through the examples she has encountered in her life) that women have jobs and are creative. I also love the fact that she believes women are smart and have power. I chuckled at the other biological acknowledgments as well! Kids say the darndest things, but I think little Miss Professional Diva In Training got it right! What are your thoughts on why this 8-yeal old loves being a female?